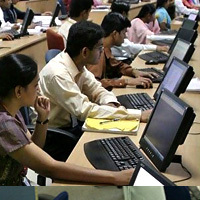 Arrow HR Services Pvt Ltd manpower consultancy is among its most reputed services. Our unmatched professional recruitment principles & strategies, and the understanding in depth of local & international manpower recruitment processes have helped us to provide comprehensive HR services & recruitment solutions and help clients maximize their companiesâ�� manpower. Our endeavours deal with providing professional solutions that facilitate global competencies. Our company possesses excellent database, which helps us to provide placements at the global level across the major sectors of employment.